Simple, functional and elegant wallet-chain. Engraved rectangular links by maltese crosses. 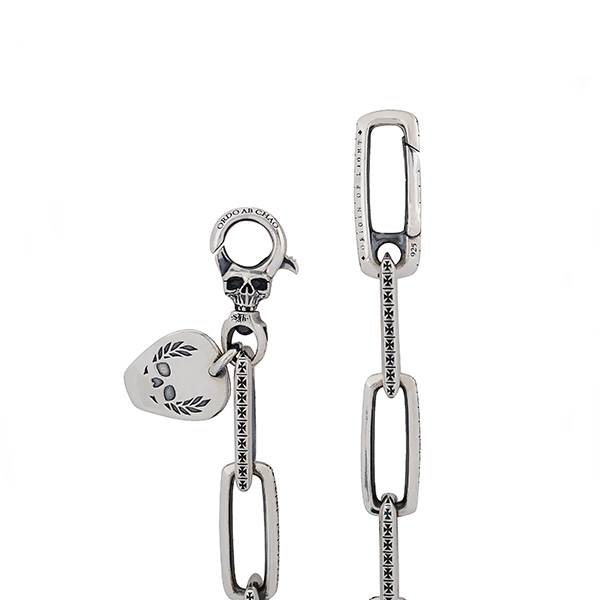 Clasps have a spring in stainless for durability. Wallet sold separately.